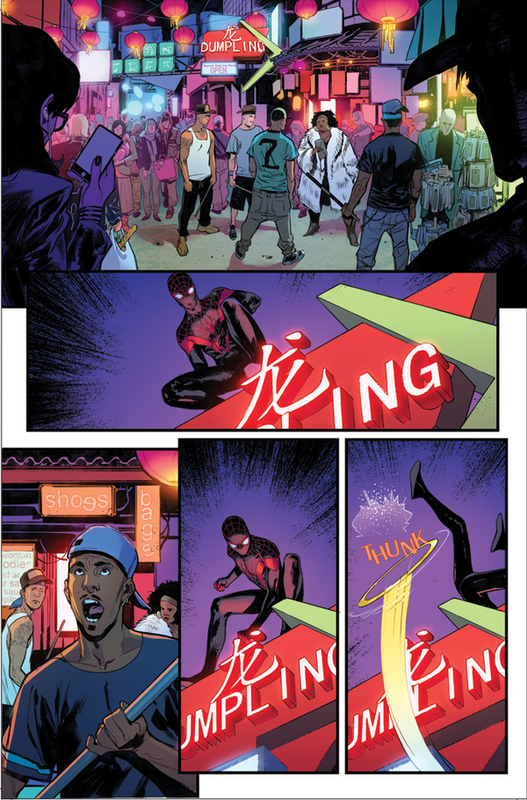 Today, Marvel is pleased to present your first look inside SPIDER-MAN #12 – the first chapter of “Sitting in a Tree”! 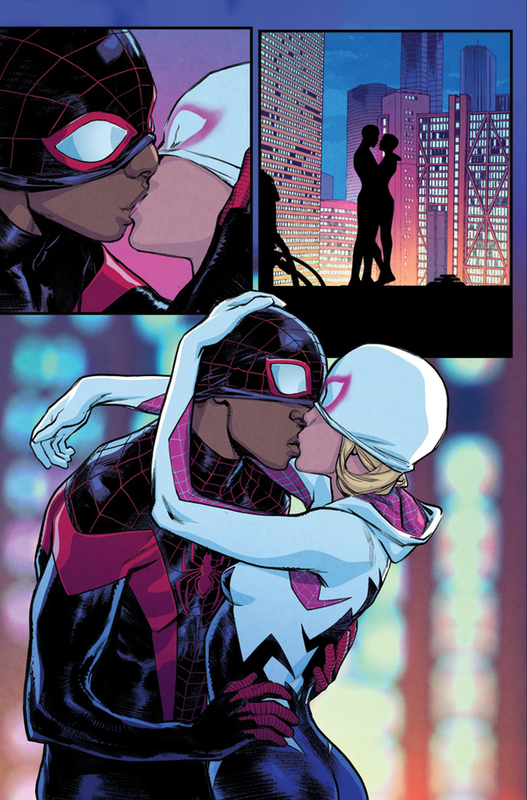 Blockbuster creators Brian Michael Bendis and Sara Pichelli bring you the kiss heard round the world as love is in the air for Miles Morales and Gwen Stacy. 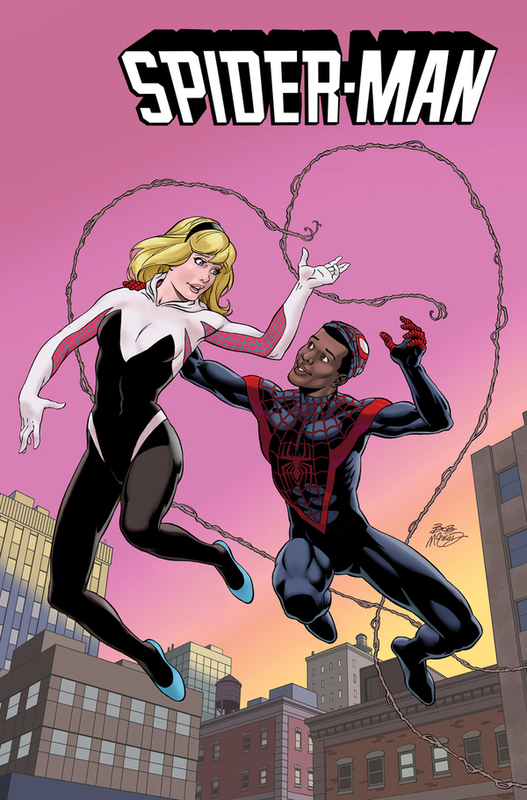 These two webslinging lovebirds collide for an adventure in Gwen’s universe that’s going to rock their respective worlds. It’s all happening when “Sitting in a Tree” kicks off in SPIDER-MAN #12 – coming to comic shops and digital devices on January 11th! 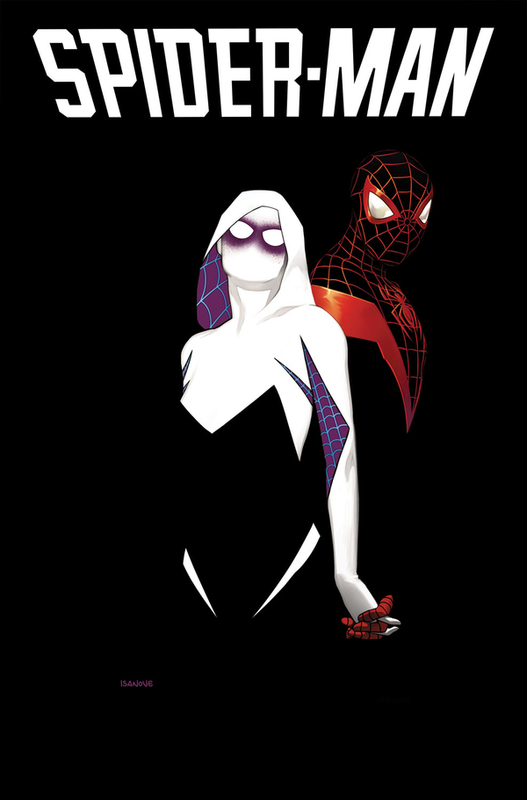 Plus, don’t miss the continuing adventures of Gwen and Miles in Spider-Gwen #16 – part 2 of the crossover – also coming in January!